Slide app– Hello Friends, Here is another app slide trick you will love a lot. It is running refer and earn program where you can earn Rs.5 per refer and new users will also get Rs.5 joining bonus. This app also pays when you activate unlock and you use it regularly. Read more details of this app below! It is Really fast and easy way to get cash and earn more talktime.Get. Also transfer the rewards to mobikwik.Get rewarded by inviting your friends through our referral system to earn even more free recharge.Supported Indian operators include Airtel , Vodafone, Reliance, Tata Docomo, Idea, Aircel, BSNL etc. Offers updated anytime. never miss out on a chance to earn more cash! 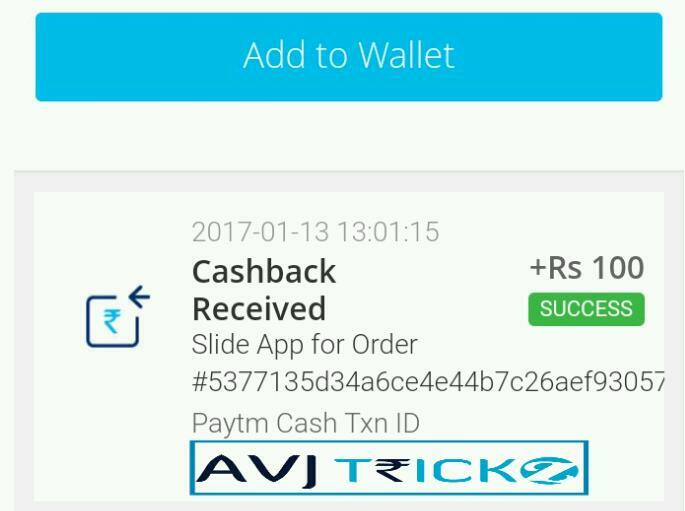 Now follow the below instructions to earn paytm cash! 3. Now click on ” INVITE NOW ” and click on ” COPY URL ” to copy your refer link. 4. Now share it to your friends and family. 5. You both will get Rs.5 Bonus when your friend do sign up and Verify his mobile & email and activate slide for minimum one day. 6. Redeem Proccess is instant, To redeem click on ” REDEEM NOW ” and select the redemption way to redeem. 7. You can now also redeem to Mobikwik, paytm, freecharge Wallet. Just select your desired wallet and amount (min Rs.100) and redeem your earnings. IMPORTANT UPDATE: Slide app closed payment rewards, so no need to use this app! Then Use Parallel Space Or Bluestacks For unlimited earning.